There's never been a better time to be concerned about your internet security than right now. Between Facebook straight up selling millions of people's data out from under their innocent little noses, massive data breaches that are almost becoming routine, and Equifax losing millions of social security numbers, your information is currently huddling in a corner, just waiting to be preyed upon. That's why you need a VPN to lock your home network up tighter than Scrooge McDuck's vault. Put simply, a VPN (or Virtual Private Network) is an extension of your home network -- that is, every device in your house that connects to your router. It essentially tricks other networks into thinking that you're physically connected to them, while encrypting your data and browsing history so nobody, not even your service provider, knows where you are or what you're doing. That means nobody can swipe your info and sell it, or use it to apply for a credit card, or use it to frame you for murder, like what happened to Sandra Bullock in 1995's greatest in-flight movie, The Net. Of course, there are a lot of choices when it comes to selecting the right robot bodyguard for your browsing information (we've decided just now to picture all VPNs as RoboCop, and there is nothing you can do to stop this). Luckily, we've got the breakdown on several high-quality VPNs, so you can choose which RoboCop is right for you. Even though they shield your browsing behavior from the rest of the world, most VPN's will still keep a log of your activity and as long as your information is stored somewhere, that information is vulnerable to a breach. Well, VPNSecure doesn't play that way. It keeps no logs of your browsing history whatsoever, while still encrypting your traffic. VPNSecure also supports torrents and allows you to bypass region restrictions on apps, so your viewing options aren't limited by where you live. Normally a lifetime subscription to VPNSecure would cost you $450, but if you click here right now, you can take advantage of a huge price drop and get that lifetime subscription for just $19.99. Take an extra 15 percent off with the code DIGITALWEEK15. Having a VPN cover multiple devices can be tricky, especially if those devices are being used by multiple people in multiple locations. That's a heck of a lot of multiples to handle. Enter VPN Unlimited Infinity. 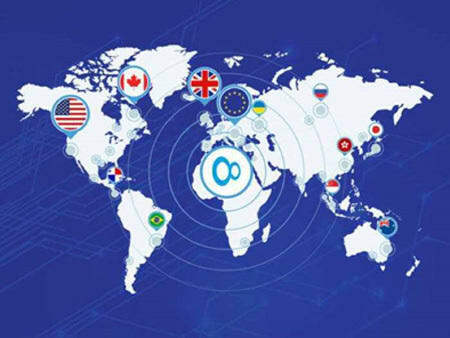 With a single lifetime plan, VPN Unlimited Infinity will protect up to ten devices simultaneously anywhere in the world, allowing you to easily add new members to the plan as your family unit grows, or remove members should alliances come undone. And don't worry about having to cover so many devices, because with this plan, you get unlimited data and unlimited high-speed connection. Normally, such a comprehensive security package would cost you $525, but if you click here right now, you can get the VPN Unlimited Infinity Lifetime Plan for just $55.99. That's a mind-boggling 89 percent discount, and you can take an extra 15 percent off of that with the code DIGITALWEEK15. Trackers and malware bots are two of the most nefarious ways that hackers (and supposedly legitimate companies!) collect and plunder your personal information, all while making your computer slow and sucking up your battery. Essentially, if you and your web-browsing device were a ship, trackers and malware would be tiny goblin pirates sneaking onboard, stealing your money and your birth certificate, and punching the boat full of holes while they did it. The point is that goblins are weird, but Disconnect VPN blocks any tracking request trying to connect to your device, dropping a big fat wall of Nope on any spyware or malware aiming to worm its way in. It also increases your browsing speed up to 44 percent, reduces your bandwidth by 39 percent, and extends your battery life. 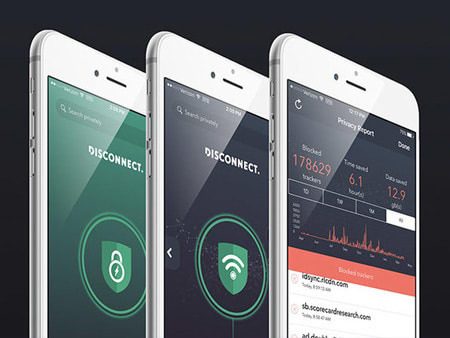 Normally, a lifetime premium subscription to Disconnect VPN would set you back $500, but click here right now to jump on a huge price drop and get it for just $44. Take an extra 15 percent off this goblin-killing miracle with the code DIGITALWEEK15. One of the hurdles of using a VPN is relying on a certain number of servers situated in a handful of countries around the world. While this keeps you and your devices protected, it can limit your connection options. PureVPN kicks that door straight to the local door recycling plant by being one of the widest VPN networks currently available. With over 550 servers in 141 countries, you get all the coverage you need, buckaroo. Plus, PureVPN allows simultaneous coverage of up to five devices with unlimited bandwidth, including routers, gaming consoles, and smart TVs, and keeps zero logs of any of your browsing habits. You can even secure connections to public WiFi hot spots. On any other day, a two-year subscription to PureVPN would cost $262.80, but if you click here right now, you can get it at 81 percent off for just $49. Take an extra 15 percent off with the code DIGITALWEEK15. If you're looking for a VPN with nearly worldwide coverage and an ironclad reputation, look no further than NordVPN. NordVPN has over 3,500 servers across 61 countries, meaning you can get connected virtually anywhere in the world. It's also one of the highest-rated VPNs on the market, with top ratings from every major tech journal, including PC Mag, CNET, PC World, and TechRadar. It uses double encryption, keeps zero logs of your browsing movements (wink wink), and can secure your devices on any connection, including public WiFi hot spots and cellular networks. Ordinarily a three-year subscription would cost you $430.20, but if you click here right now, you can jump on a 76 percent discount and get a sweet NordVPN subscription for just $99. Take an extra 15 percent off with the code DIGITALWEEK15. It's a scary world out there, and Only Zuul can save us. Well, Zuul and these GOOSE VPN Subscriptions. Still not sure if a VPN is right for you? Here's Why You Need A VPN (And How To Get One).